Ph. 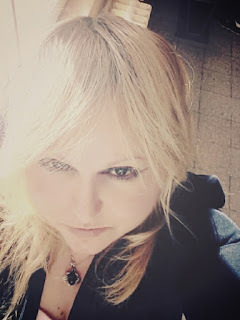 D. Cornelia Păun Heinzel debuted as a writer in the review "Asymetria" France and as poet in "AGERO Stuttgart" Germany, as collaborator of the magazine and Press Agencies' ACES OF ROMANIA "NURNBERG. She is a member of Press TRANSATLANTIC, of Union Hispanomondial of Writers and POETAS DEL MUNDO, writer and collaborator to reviews of USA, Canada, Ireland, New Zealand, Malaysia, France, Germany, India, Spain, Italia, Venezuela, Colombia, Chile, Bolivia, Argentina, Mexico, El Salvador, Peru, Albanian, Australia, Portugal, Trinidad, Tobago, Islande, Estonia, Denmark, Belge, Romanian, is Editor of ANTHOLOGIA MULTILINGUA. She is present in the Famous Encyclopedia “Best Poems” , the “Anthology poets of the world”, în “L’ANTHOLOGIE DES POèTES FRANCOPHONES FRANCE”, in ANTOLOGIA DE POESIA POETAS DEL MUNDO "POETAS SIGLO XXI", Antologia Universal de Poesia "Arte Poetica", Antologia de la poesia espanola, Anthology UNIVERSAL ROMANIAN CONTEMPORARY POETRY - Anthology of Contemporary Short Story Romanians everywhere, Anthology of writers of the world. She has published poems in French, German, Italian, Arabic, Turkish... PAUN Cornelia is professor engineer with the scientific title of Doctor of Industrial Robots 1998, the Bucharest Polytechnic University, Master in Educational Management and Evaluation, Faculty of Psychology, University of Bucharest, in 2002, Master in Teaching Subjects Philological Faculty of Letters, University of Bucharest, licensed of Philology, Romanian Language and Literature - French Language and Literature, Faculty of Letters, University of Brasov, Diplomat mechanical engineer, specializing in Technology of Machine Construction, Faculty of TCM, Brasov University, with ten, receiving double distribution in higher education and research, a field in which he worked until today and electrical engineer, specializing in Transport, Polytechnic University of Bucharest. In 2007-2013 he was trained experts of the Ministry of Education in Educational Management. He completed three graduate courses and in 2012-2013 received a grant to Germany, MUNCHEN GOETHE INSTITUTE in the area of specialization – “Multimedia-Führerschein DaF”: Das Internet als Quelle für Materialien und Projekte (Kommunikationsprojekte im Unterricht; Das Internet als Quelle für Arbeitsmaterial; Übungen und didaktisiertes Material aus den Internet; Internet projekte planen und dürchführen). He has published six books and over 200 articles - published in the country and abroad.